Brasil Na Minha Alma (Brasil in my Soul) launched a regular night of Brasilian music with a fund raising event for ‘Street Angles UK’. 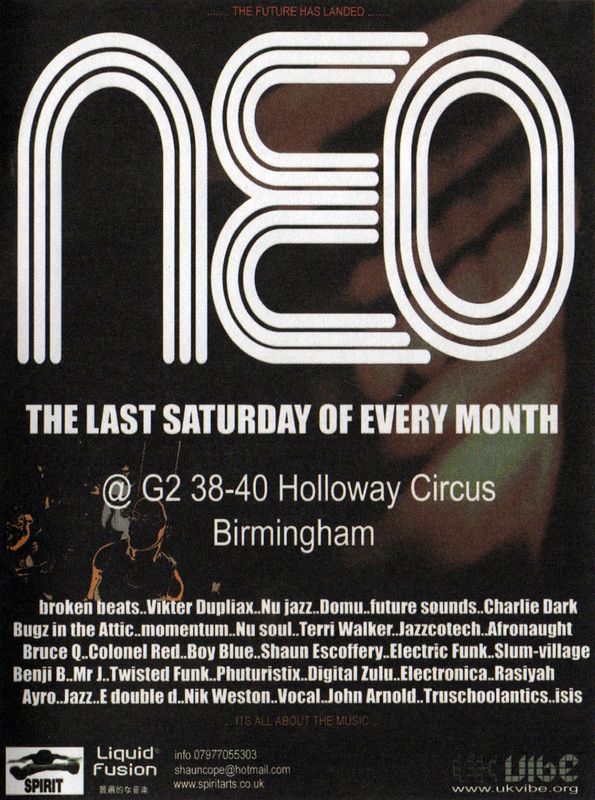 The launch night took place in November 2003 and was spread over two floors with traditional sounds in the main room whilst Brasilian jazz and electronica was played upstairs, together with various dance classes over the evening. 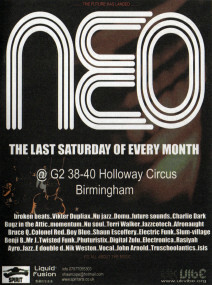 “It’s a big world out there and how often we forget it, safe, for the most part, in our Anglo-American cultural bubble. 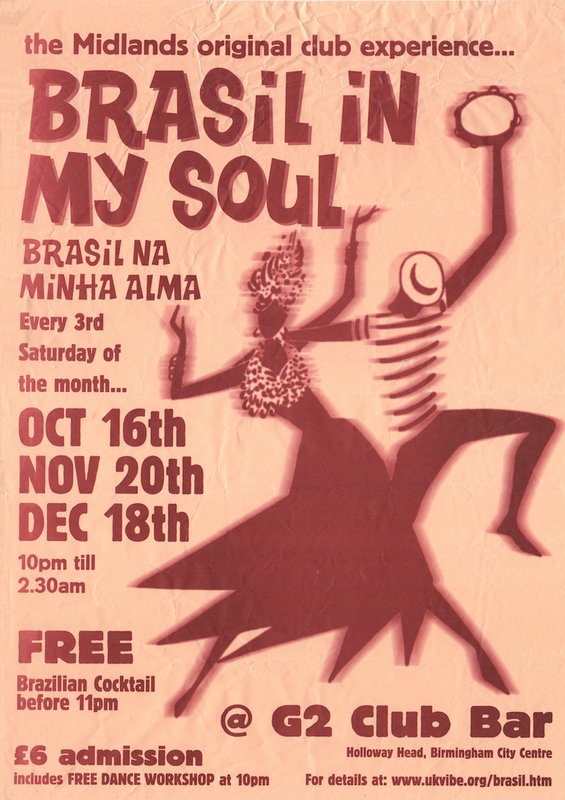 Caipirinhas at the ready, then, as this Saturday’s Brasil Na Minha Alma (Brasil In My Soul) night aims to open eyes and ears to the myriad offerings emanating from this fascinating South American country. There’s certainly an appetite out there. ‘It’s been going down really well,’ explains Bernard. 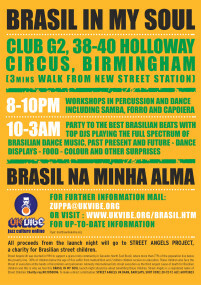 ‘They almost drank us out of everything at the first one!’ One of the reasons could be the range of things on offer: live percussion combines with DJs playing the most danceable Brazilian music and, from 8pm to 10pm, workshops in salsa, form and dance/martial-arts crossover capoeira get people in the mood, with some chances to practise a little Portuguese. 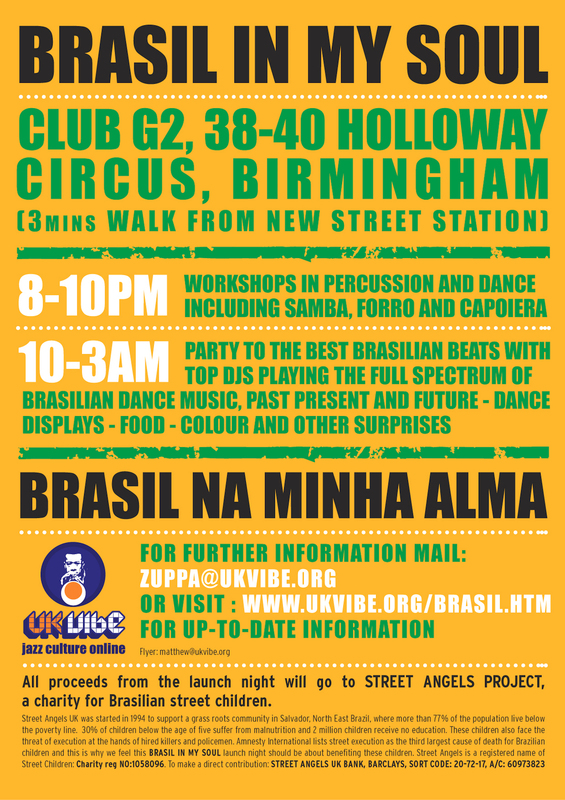 ‘The dance classes really warm people up,’ says Bernard, ‘so as soon as the DJs come on, people are straight on the dance floor.’ To get punters into the party mood, G2 will become a little part of Rio De Janeiro for the night. 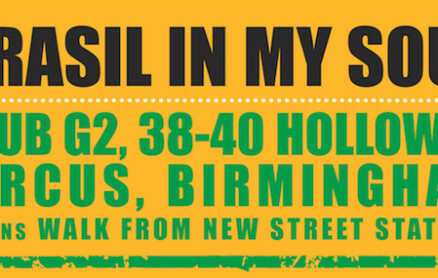 ‘The venue gets decorated with sashes and drapes, slides, visuals from Carnival, Brazilian flags,’ explains Bernard.